Goldman Sachs’ CEO Lloyd Blankfein and his largest investor, The Wizard of Omaha, Warren Buffett , descended from the mystical heights of Valhalla with some startling news. They were bearing a new mythical golden ring. As they held the ring aloft they made a bold proclamation. They would embark on one of the grandest social entrepreneurial programs of all time by offering some of the rings precious power, about $500 million worth, to capital starved small and mid-size enterprises (SMEs). The 10,000 Small Businesses Initiative will distribute $100 million per year over the next five years to SMEs through Community Development Financial Institutions. These lords of commerce have heard the cries from endangered SMEs. In their infinite wisdom Blankfein and Buffet understand that the real economy needs to resuscitate and incubate the critical SME segment as an absolute prerequisite to a vibrant economic recovery. The buzz about this news in the marketplace ranged from cynical suspicion at one extreme to puzzled bemusement and ecstatic aplomb at the other. What motivated Goldman to announce this initiative is an interesting question. Was it guilt, greed or a sense of corporate social responsibility? Some suggest it is a master PR move to counter a growing public perception that Goldman Sachs, the poster child of government favoritism and bailout largess, has leveraged its unfair advantage to achieve historic levels of profitability. Thus enabling management to pay obscene bonuses to company employees. But capital has no psyche, and half a billion dollars is a tall bill to underwrite absolution for some phantom form of guilt. True to its nature, capital always seeks a place where it will find its greatest return. Goldman and Buffett are casting some major bread on the receding waters of a distressed economy. As its foretold in the Good Book , doing God’s work will produce a tenfold return. If the Bible’s math is correct, thats a lot of manna that will rain down from heaven for the shareholders of Goldman Sachs and Berkshire Hathaway. Looks like our modern day version of Moses and Aaron have done it again. Leading their investors across the dangerous waters of the global economy to live in the promised land of happy shareholders. As one of the world’s preeminent investment banks and purveyor of capitalist virtues, company shareholders must be questioning how Goldman’s managers will realize a return on this investment? Has management examined the potential corporate and societal moral hazards surrounding the program? Surely shareholders have asked when they expect to be compensated for this significant outlay of capital. The desire to realize gain is a more plausible motivator and makes more sense for an enterprise like Goldman and the storied investment Wizard from Omaha. Its wise to ascribe the best intentions and virtuous motivations to actions that we may not fully understand. This program should be viewed as a seminal event in the history of corporate social responsibility and social entrepreneurship. Its important to understand that institutions that practice corporate social responsibility do not engage it solely as a philanthropic endeavor. Indeed, the benefits of good corporate citizenship pays multidimensional dividends. All ultimately accrue to the benefit of company shareholders and the larger community of corporate stakeholders. Goldman’s move to walk the point of a capital formation initiative for SMEs seeks to mitigate macroeconomic risk factors that are prolonging the recession and pressuring Goldman’s business. Goldman needs a vibrant US economy if it is to sustain its profitability, long term growth and global competitiveness. Goldman needs a strong regional and local banking sector to support its securitization, investment banking and corporate finance business units. Healthy SMEs are a critical component to a healthy commercial banking sector. Goldman recent chartering as an FDIC bank holding company may also be a factor to consider. This SME lending initiative will provide interesting insights into the dynamics of a market space and potential lines of business that are relatively new to Goldman Sachs. This initiative might presage a community banking acquisition program by Goldman. At the very least the community banking sector is plagued with over capacity is in dire need of rationalization. Goldman’s crack team of corporate finance and M&A professionals expertise would be put to good use here. Goldman’s action to finance SMEs will also serve to incubate a new class of High Net Worth (HNW) investors. Flush with cash from successful entrepreneurial endeavors, the nouveau riche will be eager to deploy excess capital into equities and bonds, hedge funds and private equity partnerships. Healthy equity markets and a growing Alternative Investment Management market is key to a healthy Goldman business franchise. Community banks, principal lenders to SMEs are still reeling from the credit crisis are concerned about troubled assets on their balance sheets. Bankers can’t afford more write downs on non-performing loans and remain highly risk adverse to credit default exposures. Local banks have responded by drastically reducing credit risk to SMEs by curtailing new lending activity. The strain of a two-year recession and limited credit access has taking its toll on SMEs. The recession has hurt sales growth across all market segments causing SMEs to layoff employees or shut down driving unemployment rates ever higher. Access to this sector would boost Goldman’s securitization and restructuring advisory businesses positioning it to deepen its participation in the PPIP and TALF programs. The financial condition of commercial and regional banks are expected to remain stressed for the foreseeable future. Community banks have large credit exposures to SME and local commercial real estate. Consumer credit woes and high unemployment rates will generate continued losses from credit cards and auto loans. Losses from commercial real estate loans due to high vacancy rates are expected to create significant losses for the sector. Reduced revenue, protracted softness in the business cycle and closed credit channels are creating perfect storm conditions for SME’s. Bank’s reluctance to lend and the high cost of capital from other alternative credit channels coupled with weak cash flows from declining sales are creating liquidity problems for many SMEs. Its a growing contagion of financial distress. This contagion could infect Goldman and would have a profound impact on the company’s financial health. The 10,000 Businesses initiative will strengthen the free flow of investment capital to finance national economic development and empower SMEs. It strengthens free market capitalism and has the potential to pool, unleash and focus investment capital into a strategic market segment that has no access to public equity and curtailed lines of traditional bank credit. The 10,000 Businesses initiative will encourage wider participation by banking and private equity funds. In the aggregate, this will help to achieve strategic objectives, build wealth and realize broader goals to assure sustainable growth and global competitiveness. All to the benefit of Goldman Sachs’ shareholders and it global investment banking franchise. Goldman Sach’s has always been a market leader. 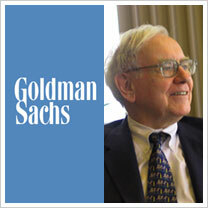 We salute Goldman Sachs’ initiative and welcome its success. In September of 2008, Sum2 announced The Hamilton Plan calling for the founding of an SME Development Bank (SDB). The SDB would serve as an aggregator of capital from numerous stakeholders to focus capital investment for SME manufactures. More on the Hamilton Plan can be read here: SME Development Bank. The soft economy, the rise of inflation and the curtailment of credit is having a dramatic effect on small businesses. Annual bankruptcy rates among small businesses is sky rocketing. As the recession continues small business bankruptcy will continue to rise. Bankers are undertaking a comprehensive review of their small business loan portfolios to enhance risk mitigation programs. They are increasingly driven to engage their small business clients to determine if they can detect any problems that is affecting their clients financial health. Poor operating performance leads to a distressed condition that can ultimately lead to insolvency. Banks are becoming more proactive. Small business managers need to take action to uncover the factors that are damaging the business. They must recognize the early warning signs of an emerging distressed condition to remain in the good graces of bankers by honoring the parameters of existing loan covenants. The problems posed by curtailment of credit and rising unemployment pose acute threats to small businesses. This is particularly true for businesses that cater to retail consumers. The erosion of consumer buying power due to loss of income and evaporation of customers credit lines means that they won’t be purchasing goods and services offered by small businesses. Small business sales and profitability evaporates due to exposures to these risk factors. Small businesses must devise strategies to address these types of risks. Bankers need to be involved with their small business clients to determine how these risk factors are affecting business profitability and what steps need to be taken to temper their effect. This a great opportunity for bankers to enhance their engagement level with small business clients. The exercise will preserve relationships, mitigate potential credit defaults and build the banks brand as an effective and involved partner to small businesses. Sum2 provides a series of risk assessment products that assist companies to chart paths to profitability and growth. Please visit our website to learn more about the Profit|Optimizer, a unique risk management and opportunity discovery tool that can help you more effectively manage the challenges posed by the recession. According to a recently published report by a Congressional Oversight Panel reviewing the effectiveness of the Troubled Asset Relief Program (TARP), many banks remain vulnerable due to questionable commercial loans still held on their balance sheets. This is a looming problem for community and smaller banking institutions. Smaller banks are being adversely effected by the the rise of commercial loan defaults. Many community banks have large loan exposures to shopping malls and other small businesses hard hit by the recession. The report states, “Owners of shopping malls, hotels and offices have been defaulting on their loans at an alarming rate, and the commercial real estate market isn’t expected to hit bottom for three more years, industry experts have warned. Delinquency rates on commercial loans have doubled in the past year to 7 percent as more companies downsize and retailers close their doors, according to the Federal Reserve. Defaults in sub prime and other residential mortgages precipitated last years banking and credit crisis. The TARP program succeeded in stabilizing a banking system that was teetering on collapse. The $700bn infusion into the banking system appears to have buttressed depleted capital ratios and severely stressed balance sheets of large banking institutions. But many banks are still carrying troubled assets on their balance sheets. Commercial Mortgage Backed Securities (CMBS) values are tied to the cash flows generated by renters and lessors of the underlying mortgaged properties. As occupancy rates of commercial properties fall cash flows dissipate. The market value of these securities plummets creating a distressed condition. This places additional strain on the banks balance sheet driving capital ratios lower and places a banks liquidity and ability to lend at risk. The TALF (Term Asset Backed Loan Facility) was instituted in March to extend $200bn in credit to buy side financial institutions to purchase troubled assets and remove them from banks balance sheets. So far only $30bn has been allocated through the program. Clearly banks balance sheets remain at risk due to their continued high exposure to this asset class. A strong economic recovery will address this problem. A prolonged recession will resurrect the banking and credit crisis we experienced last autumn. It would appear that TARP II may be a necessity if more private sector investors don’t step up to the plate and participate in TALF.